I'm a young & dynamic India Entrepreneur in my early 30's. Born & brought up in Jodhpur, I am a simple, ambitious and down 2 earth guy. I'm a travel enthusiast by passion and web developer by profession. A few months ago, while gossiping with a friend, I came across an interesting website called as “Wayback Machine”. I had never ever thought about the presence of any such tool over the internet that could flashback websites. With the help of this magical tool, you can explore how websites used to be in their teenage. Suddenly, my dirty human mind gave me an interesting idea to make money from it. Let’s talk more about it in this post. 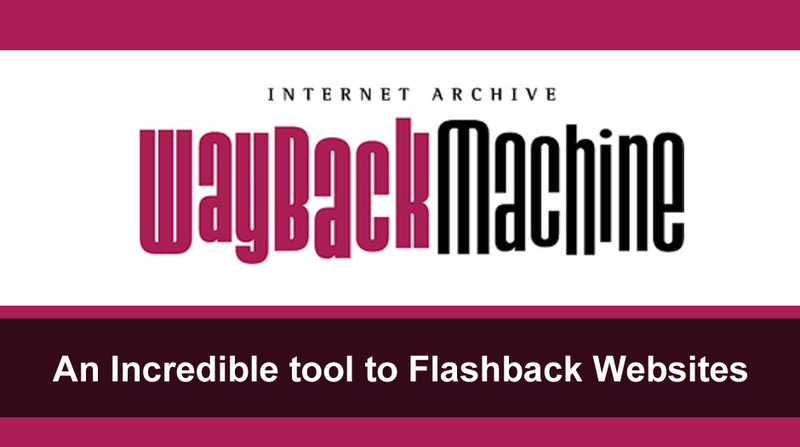 Created by Internet Archive, an NGO based in San Fransisco, United States, the Wayback Machine is a digital archive of WWW (World Wide Web). It was created in the year 2001 with a mission of “universal access to all knowledge”. 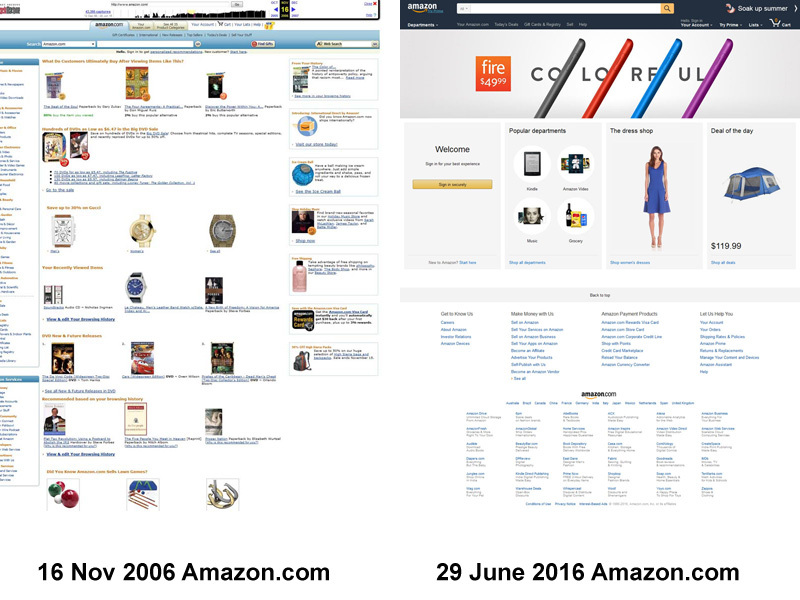 Using this tool, people can see archived versions of websites (or webpages) across time. The website is built using C & Pearl language. Since 1996, the NGO started archiving cached pages of websites in a large cluster of Linux Nodes. Their robots keep visiting websites after every few weeks or months and archive the latest version if any change was found in content. If there would be no such archiving service, we wouldn’t be able to access any website once it got shut down completely. So, big thanks to the Brewster Kahle and Bruce Gilliat for setting up Wayback Machine that is storing our precious memories. How can you get benefitted with Wayback Machine? Since I wish to earn my livelihood on affiliate marketing lifestyle; so I promote quite a few products on my affiliate sites. I also keep feeding these websites with new & fresh content to get traffic. When I came across Wayback Machine, I wondered if I could fetch content from the domains that are no more active (expired/deleted domains). This way I will get non-plagiarized content and won’t have any copyright issue as domains are already shut down. Contact the original author and ask him if you need to pay him money for using their content. Maybe they permit you and won’t charge you anything as this content is almost useless for them. They may charge you a few bucks for allowing you to reuse their content. Take a risk and just use the content without any permission. The chances of getting any copyright issue are very less as usually, no one cares about website or content if their domain expires or when they shut their business. But, do not copy images as they are likely to be reused. How to use Wayback Machine to fetch content? It’s so simple to find out websites. I’ll share my personal experience with you. The initial step is to find the expired domain related to your niche or category. You can get the list of expired or deleted domains from expireddomains.net. Though there are several other websites but it’s the one I prefer in my search. Search your phrase “The Venus Factor” and you will get the list of all the expired or deleted domains. 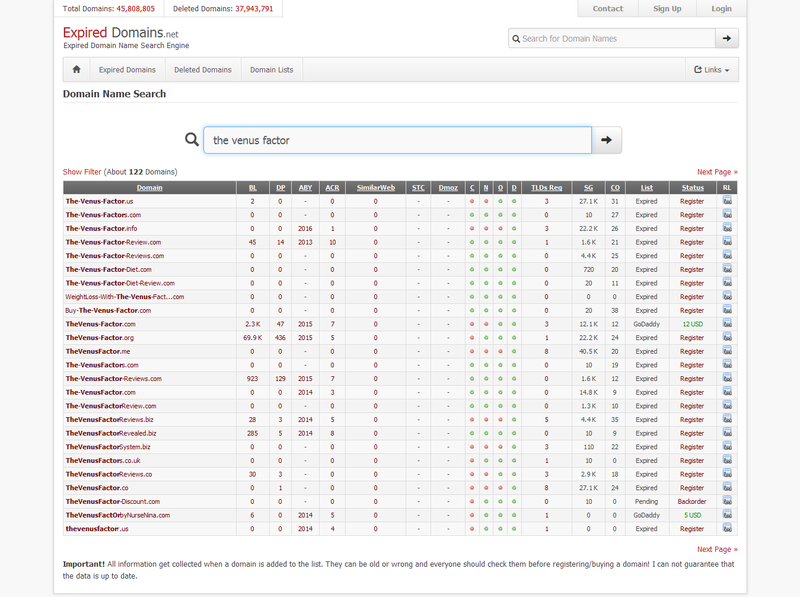 Out of so many domains, copy any one domain and put it in Wayback Machine and hit “Browse History”. You will see a timeline of years with highlighted dates. 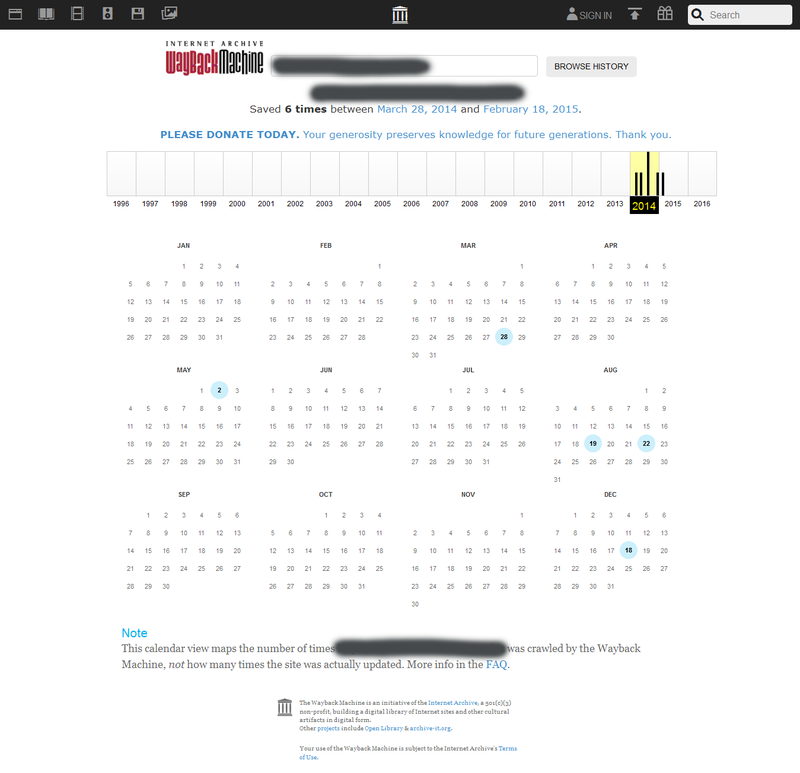 This shows that Wayback Machine has archived web pages this domain on those specific dates. Hit on any date and you’ll be able to see the web pages of that expired or deleted domain. Note: The goal of Internet Archive was not to facilitate people in stealing content but to provide universal access to all knowledge. This post was just for your knowledge about this incredible tool. With this article, I do not promote copyright infringement or content piracy.